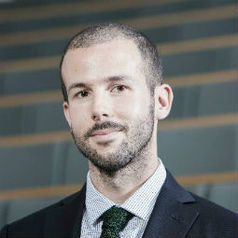 Dr Guido Noto La Diega is a Senior Lecturer in Cyber Law and Intellectual Property at the Northumbria University, where he is the European Research Partnerships Coordinator for the Law School and the Co-convenor of NINSO The Northumbria Internet & Society Research Group. Director of ‘Ital-IoT’ Centre of Multidisciplinary Research on the Internet of Things, Fellow of the Nexa Center for Internet and Society, and Founder of DPA2018, Dr Noto La Diega is a qualified lawyer called to the Bar of Italy in 2013 and he is Of Counsel of Damiani and Damiani International Law Firm. Dr Noto La Diega carries out research at the intersection between Law & Technology. He is Fellow of the Higher Education Academy and he is currently on secondment in Russia as Associate Professor of Information Technology and Intellectual Property Law.